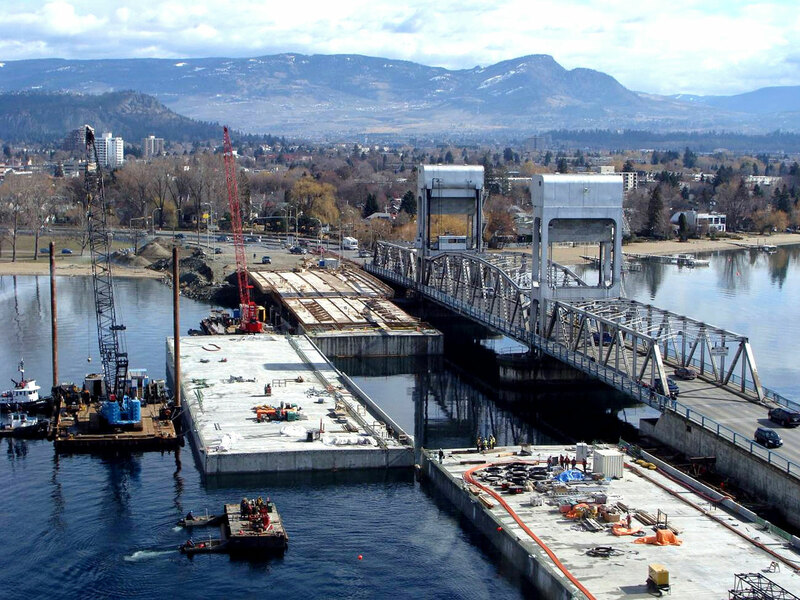 The William R. Bennett Bridge is a new floating bridge over Lake Okanagan in British Columbia, Canada, which replaces an existing floating bridge built in the 1950s. The bridge has been designed and built in a DBO contract (Design - Build - Operate). 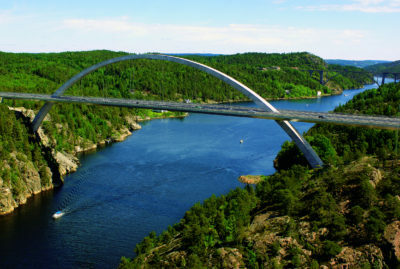 The engineering design work was performed by the Norwegian companies Aas-Jakobsen and Johs Holt. Detailed design. 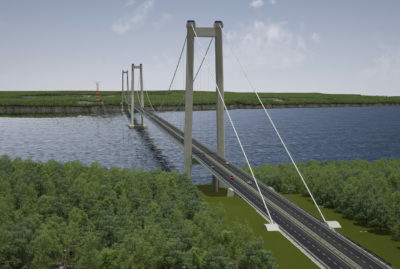 Aas-Jakobsen and Johs Holt were selected because of their experience with floating bridges including the Nordhordlands Bridge and Bergsøysundet Bridge and was contracted to design the floating components of the bridge. This involved performing all the necessary static and dynamic analyses, as well as preparing detailed calculations and drawings, and obtaining the formal rights needed to sign and stamp the construction drawings. 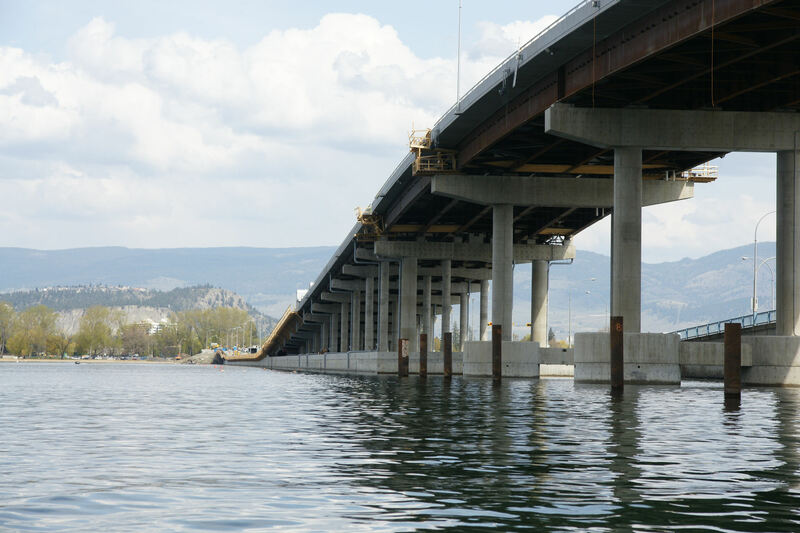 The floating component of the bridge consists of 9 connected concrete pontoons which form a total length of around 700 metres. The pontoons are 25 metres wide. The depth of the structure varies from 5.14 metres to 7.8 metres. 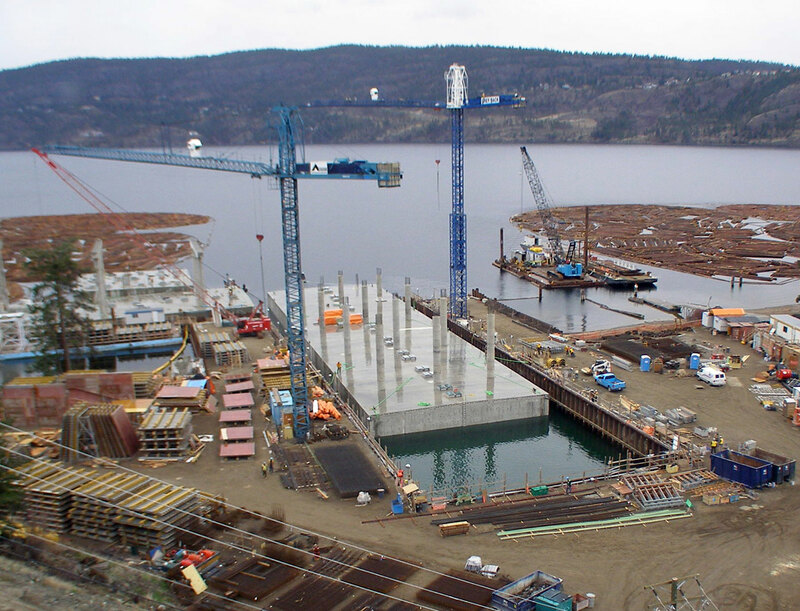 Every pontoon has longitudinal pre-loads in the top plate, baseplate and walls. They have a cell structure consisting of almost quadratic cells of 5x5x5 metres. Wall thicknesses vary from 150 mm to 230 mm. The continuous pontoon is anchored at the sides to the soffit with anchored stay cables. 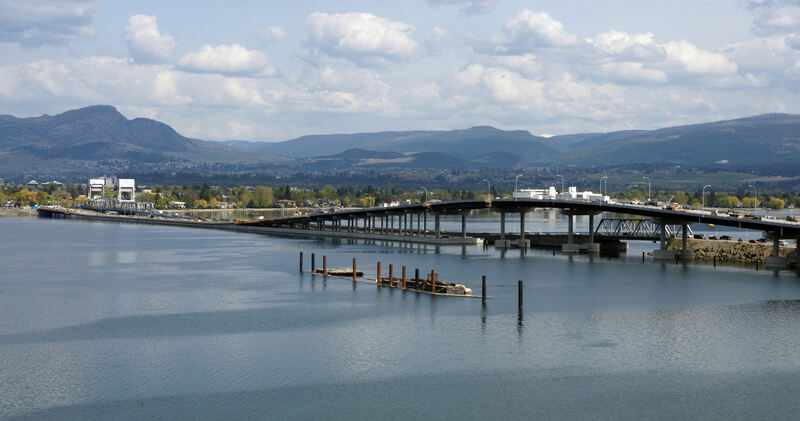 Traffic runs directly on the upper deck of the pontoons, with the exception of the entry ramps, which are located on top of the bridge deck at each end of the floating bridge. Several aspects have made this project a challenge, both for the designers and the builders. The challenges were overcome through innovative thinking and close coordination between the design and construction teams which made up the contract team. 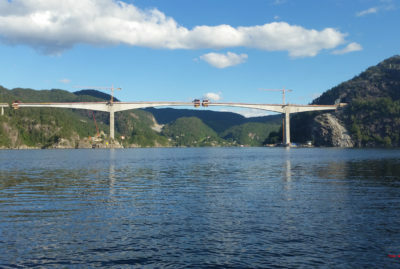 This project sought out Norwegian expertise with floating concrete structures, which was extremely important for the end result. The project made valuable use of our experience with comparable projects in Norway.